Metalinox India deals in manufacturing, exporting and supplying of Stainless Steel Railings materials such as Stainless Steel polish pipes, Stainless Steel matt finish pipes, Stainless Steel number 4 finish pipes, Stainless Steel matt finish sheets, Stainless Steel Polish Tubes, etc.. which have dimensional accuracy and excellent attributes. Combined using the best known features, these stainless steel railing materials are constructed making use of the high grade steel which is procured from our most trusted vendors. 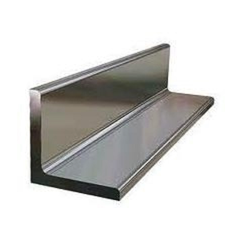 We are manufacturer and stockist of Stainless Steel Angles. we obligated to meet the quality standards as per the customer demand. 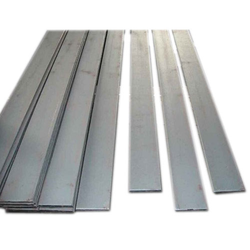 Our company is a renowned name in industry engaged in bringing forth Stainless Steel No.4 Finish Flats to our customers. With the use of advance technology, we manufacture a high quality range of Stainless Steel Pipe No.4 Finish Flats for our customers from different commercial and industrial areas. Rugged designing, supreme finish, high performance, lastingness and low price are some of the attributes that makes the offered product one of the unique amongst others in our entire extension. We ensure timely transit for our offered product.